Transliteration is the mapping of one alphabet to another. 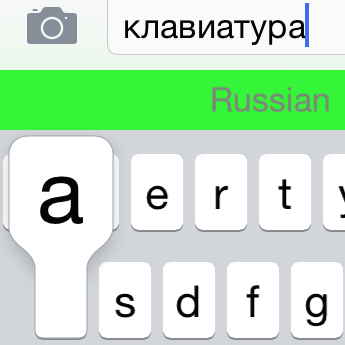 Do you need to type in another language on your iPhone — Russian, for instance — but find yourself struggling with the native keyboard? Translit Keyboard lets you type using the same old QWERTY keyboard you're used to, but converts the output straight to the alphabet of your choice! Translit Keyboard is a 3rd party system keyboard. Use it from almost any app: Safari, Mail, Messages, Notes — wherever transliteration is needed the most. 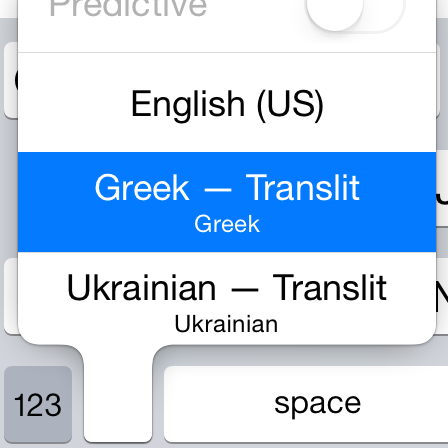 With the premium version, you can transliterate into Russain, Ukranian, Armenian, Belarusian, Georgian, Greek, and Macedonian. Or you can try the Lite version with Old Slavonic if you want to see how it all works! None of your keystrokes are ever saved or sent over the network. 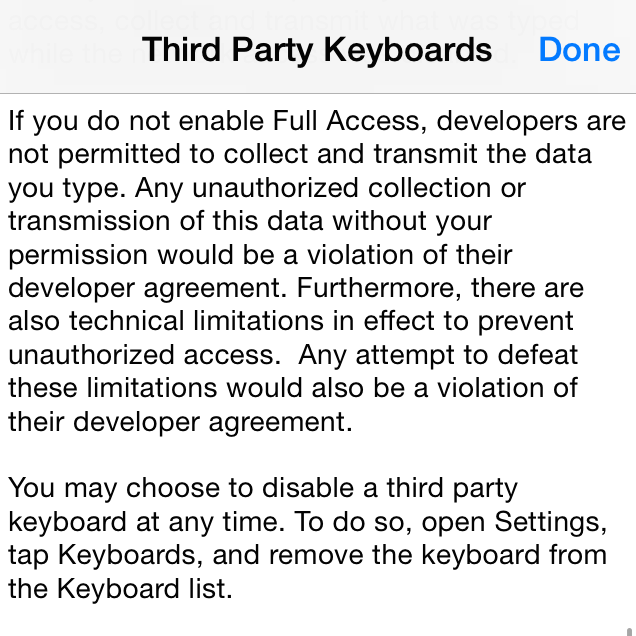 In fact, the iOS privacy settings chosen for the app guarantee this. If you have any questions or bugs to report, please e-mail me at translit-keyboard@archagon.net. This keyboard is built on top of a simplified recreation of the official iOS system keyboard that I have open-sourced. The keyboard is written entirely in Swift and can be found here. You can find the source code for an unpolished OSX version of the transliterator here. It installs as an "input method" — a special keyboard layout you can add in your language settings — and in my experience works without error. At the moment, it only supports transliteration to Russian. Since I'm not currently charging for it, I can't provide you with much support. Copyright © Alexei Baboulevitch ("Archagon") 2014.